I’ve compiled this list of contradictions and double-speak from the experiences I have had with 5 point Calvinists to show the “doctrines of grace” do not rightly divide the Word of Truth which demonstrates Calvinists don’t have the sound mind God requires of someone who is approved of God (2 Timothy 2:15). I do concede that not everyone who claims this doctrine actually believes it in their hearts and I give grace in those situations. I also know sometimes people can simply be confused about these things and haven’t thought through the logical implications. Having said this any teachings about God’s character and nature which go against the knowledge of God should be cast down (2 Corinthians 10:5). The bible teaches in Galatians 5:9 the universal truth that “a little leaven leavens the whole lump.” While Calvinists teach some truth there are many errors within. The battle is for the truth of who God is which is reflected in the gospel message of salvation. People who lie about who God is, intentional or not, is going to cause problems that may lead someone away from the truth of the real Jesus. I’m not infallible nor claim to be. What I know for sure is if a doctrine contradicts itself something is wrong. And if that happens repeating the errors of that doctrine to others will only confuse people further and lead them to behave and do things which are contrary to living out Christ’s life in us. I’ve seen the Calvinist system of theology cause damage to the body of Christ in witnessing ministries (Descent Into Error Part 1). I’ve heard of seminary students leave seminary because they were taught “Calvinistic” predestination, something they have not read in Scripture. I’ve had people tell me their faith was shaken because they don’t know if they are one of the elect God chose. I’ve seen Calvinists confuse the lost by telling them to believe the gospel but God must make them believe. I’ve had Calvinists tell me Calvinism is the gospel and if I don’t believe it I’m going to hell because I have a “works based salvation.” I’ve seen Calvinists change the words of the bible to make their doctrine fit. These are not minor issues! Christians should rise up and pray that God will purge this doctrine from the minds of those who are ensnared by its contradictory ideas. There are some, such as evangelist Mark Cahill, who have publicly exposed the dangers of this doctrine. Am I causing division? Not at all. Its not ME causing division, its the DOCTRINE of Calvinism causing division because it teaches different doctrines about God than what Jesus or the Apostles taught. 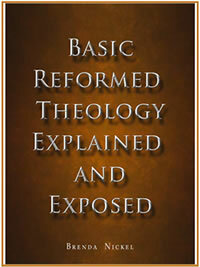 Reformed Theology started with Augustine then John Calvin not with the Scriptures. These are not DEEPER truths but DIFFERENT truths about who God is. Calvinism changes the personality of God. Now I urge you, brethren, note those who cause divisions and offenses, contrary to the doctrine which you learned, and avoid them. I’m not a Charismatic and I agree with him that the movement has major issues. Having said that what John MacArthur said above is exactly the point. Any belief system that misrepresents what God has said, what God does, and what God is like is in major error. One would think John MacArthur would apply that standard to all non-Calvinists but he doesn’t for some reason. Maybe the only way to sneak in Calvinism unawares is to claim “Calvinism isn’t essential” so it can be taught to the masses. I find it hypocritical how some Christians say Calvinism is not an essential issue with non-Calvinists, and then these same people judge other ministries as wrong when they teach something God didn’t say. or describe things God doesn’t do! BLAS’PHEMY, noun An indignity offered to God by words or writing; reproachful, contemptuous or irreverent words uttered impiously against Jehovah. Blasphemy is an injury offered to God, by denying that which is due and belonging to him, or attributing to him that which is not agreeable to his nature. Let me illustrate this point further. Many non-Calvinists believe the God of the Bible loves all eternally, the god of Calvin does not. The God of the Bible wants everyone to come to a knowledge of the truth, the god of Calvin does not. The God of the Bible died for all on the cross, the god of Calvin didn’t. The God of the Bible doesn’t take favoritism in His mercy or justice, the god of Calvin does take favoritism. These comparisons could go on and on. Are these the same Gods? No. We are talking about two different beings. The contradictions below are direct quotes from Calvinists while others are paraphrases of conversations. You, the reader, might be a Calvinist and may object to some of the contradictions as not “representing Calvinism” or “creating characters of Calvinism” or “creating a straw man” because your beliefs differ from the ones below. You may feel there are times I am misrepresenting the “Doctrines of Grace” so I can then “knock them down.” The only thing I am doing is going along with the conversations based on what people tell me they believe. If a straw man is created its the Calvinist who built the straw. Furthermore, unless you are the “Calvinist Pope” or leader of the Calvinist doctrines you cannot say with 100% certainty your beliefs are the STANDARD by which everyone bows towards. Many Calvinists contradict one another…I’ve seen it happen…in the same day! Perhaps its you that is incorrect. Me: I guess Calvinism is essential. Later in the video Tony explained the “correct” gospel to Marco by witnessing to Marco! Why is Tony showing Marco the “correct” way when he just finished telling Marco “you think the gospel needs our help?” Apparently Tony’s god is “weak” too since he needs Tony to correct Marco. He told the crowd “they” must repent and believe and now he is saying GOD MUST DO IT…very confusing to unbelievers….and everyone else. I decided to take a systematic theology class at my old church which was taught by a 5 point Calvinist named Mark K. During this time in my life I believed what Calvinists told me, that Calvinism is not an essential issue. In the very first class we listened to a sermon on God’s sovereignty and in that sermon the speaker said if I didn’t believe in God’s sovereignty (as he was defining it by Calvinism) I’m an idolator. But I thought Calvinism is not an essential issue? Mark K, who is leading the class told me later Calvinism is not an essential issue, then why is he showing the class a sermon that suggests the opposite? Answer: Because he really believes Calvinism is essential and is trying to trick people into believing it is when he tells them its not. This is not the only time I have had Calvinists hide their doctrines under the guise of “its not essential” and then turn around later and say it really is. Very deceptive. Me: “Some Calvinists I speak with tell me <insert doctrine here>. 4 WHAT MORE COULD HAVE BEEN DONE TO MY VINEYARD THAT I HAVE NOT DONE IN IT? Why then, when I expected it to bring forth good grapes, Did it bring forth wild grapes? “O Jerusalem, Jerusalem, the one who kills the prophets and stones those who are sent to her! HOW OFTEN I WANTED to gather your children together, as a hen gathers her chicks under her wings, but you were not willing! Mark 6:5 And he could there do no mighty work, save that he laid his hands upon a few sick folk, and healed them. Me: By the way, God can and still does execute His plans even though people have free-will to disobey. This is from a newsletter I received from Mike Gendron’s ministry. I didn’t speak with him personally but I have included my comments since what he says is typical contradictory rhetoric from Calvinists. Read this carefully and notice the uppercase wording (my emphasis). Me: “Lastly telling a Catholic they will pray for God to draw him is confusing to the sinner who was just told to make a choice. You never see the Apostles praying this kind of prayer or saying this to sinners. Me: “You may want to tell sinners Christ died for them otherwise you aren’t giving them the means by which God saves. This of course may cause you on occasion to lie to the unelect since you believe Christ didn’t die for everyone. I suppose you could stop lying by not evangelizing altogether but then you would be sinning again by not obeying the Great Commission. You could argue God commands you to evangelize and do it anyway but then that means God is commanding you to eventually lie to someone at some point. It seems no matter what you do you are sinning. My goodness what a mess! 15 Be diligent to present yourself approved to God, a worker who does not need to be ashamed, rightly dividing the word of truth. A year and a half later this person became a Calvinist where he changed God’s character and nature from being eternally loving to all to eternally loving to some. He changed it where God’s tender mercies are NOT over ALL His works. He changed it where God’s justice is based on favoritism. which is unjust. He changed God’s words where “all” really means “some” when God never said that, calling God a liar in His Holy Word. He changed it where salvation is based on God’s election choices, not personal faith and trust in Christ. Calvinist: “You should stop causing division among Christian brothers with your arguments. God hates that according to Proverbs 6:16-19. Me: “First, you previously told me you don’t know who the elect are, so suggesting we are all Christians is not something you would know. Secondly, Romans 16:17 says the division is being caused by DOCTRINES that are CONTRARY to what I have learned. Calvinism is CONTRARY to what I have learned, and in many cases, what Calvinists first learned before they were Calvinists. Thirdly, if Calvinism is true it makes no difference what kind of witness this is to the world. The elect will be elect and the unelect will be the unelect, nothing will change the fates of those whom God passes over for hell and chooses for heaven. From this point on his witnessing strategy to “convert me” was to assume what I believe and why I believe it without asking. He quoted verses and interpreted them according to a system of theology called Calvinism. If I don’t believe his interpretation quote more verses, after all God’s word “won’t return void.” If I give verses which contradict his verses ignore them and quote more because somehow this makes contradictions go away. When he gets backed into a theological corner he told me I’m prideful (when I’m not), that I don’t understand Calvinism (when I do), that I’m an Arminian (when I’m not), and I must hate the sovereign God of the bible (when I don’t). Then finally determine I am apostate because God hasn’t caused me to believe him, pat himself on the back for persevering in the faith, and move on. His “witnessing” technique to convert me was not with the gospel, as God requires, but by showing me Calvinist doctrines! As if my belief in Calvinist doctrines will convert me instead of the gospel! Calvinist: “I see no choice made in Saul/Paul’s conversion. Jesus called, he responded: yes Lord! Me: “A response… is a choice! Furthermore Saul did not have the Holy Spirit in him when he said: yes Lord… since he didn’t receive the Holy Spirit until three days later. How could Saul believe and obey Christ without the Holy Spirit in him? Answer: Sinners without the Holy Spirit CAN believe the truth if God presents it to them. This doesn’t mean sinners always will but it does mean they can. Me: “First, I wouldn’t say man has AUTHORITY over God, thats a false statement. God has ordained that any who believes in Him will be saved and any who do not will be damned. Anyone who follows one path or another is following God’s plan so to say man has AUTHORITY over God based on their belief or unbelief is an irrational statement that comes from man-made traditions. Secondly, its ironic you listed John 1:12-13 since it contradicts your ideas. John 1:12-13 says as many as RECEIVED Him…RECEPTION is the key…an act of the sinner’s will…without that there is no conversion! The part in the verse you are focusing on that says “nor the will of man” CANNOT include “believing the gospel” since sinners are called from Genesis to Revelation to believe in the gospel and the savior. Did the people at the tower of Babel try to enter heaven by building a tower to heaven? Yes. Did Cain try to gain favor with God by inventing his own sacrifice? Yes. Mankind cannot enter God’s heaven by any means they want to. Sinners cannot invent their own ideas on how to enter because its not our heaven, its God’s and HE makes the rules on how to enter it. You cannot enter by bypassing the gate, and this is what that phrase “nor the will of man” means. For further clarification lets say I decide to invent my own way to Heaven by throwing a stuffed teddy bear on the floor and dance around it. Will that get me to heaven? No. Why? Because its not the will of God that I do that, its MY WILL…the WILL OF MAN. Its not God’s will that sinners invent their own way to heaven! Me: “Jesus explained He did the miracle of raising Lazarus from the dead to prove He was the Messiah to the people witnessing it. And I know that You always hear Me, but because of the people who are standing by I said this, that they may believe that You sent Me. Later I show scriptures to validate what I am saying which produces from the Calvinist aggression, insults, and judging my heart, which are very strong emotions not based on scripture. Later I find out these same people teach Calvinism in bible studies or online. Many don’t call it “Calvinism” because that word is “controversial” but instead call it the “doctrines of grace” which makes it sound better. Who would be against grace? This is called deception, sneaking the doctrine in unawares, and the people who listen have no idea they are being indoctrinated into a man-made tradition of belief created by the Gnostics, adopted by Augustine and further developed by John Calvin nor are they presented with alternative interpretations. If Calvinists have to sneak the doctrine in under a different name to avoid controversy that shows how dishonest they are and are no better than a false teacher who HAS TO DECEIVE others in order for them to believe what they say. Furthermore it shows the nature of the god they serve by using deceit. After all, the god of Calvinism lies to the unelect using the gospel message with offers of salvation he has no intention of giving them. Jesus spoke the plain truth to everyone and didn’t keep anything hidden or sneak something in by another name to make it more palatable. Maharishi Mahesh Yogi tried to bring Transcendental Meditation to the West in the 1960’s and it received little acceptance among Americans because it was labeled as a religious practice which made it “controversial.” Later Maharishi relabeled it as a “scientific” practice and then it was accepted. Evolutionists do the same thing by changing the labels “evolutionary theory” to “evolutionary science.” Relabeling a controversial doctrine called Calvinism into the “doctrines of grace” or suggesting this comes directly from the bible when its really a man-made philosophical system or suggesting its a non-essential issue we can disagree on makes it easier for acceptance. I always thought it strange Calvinists would go through the trouble of doing this since they claim God will do what he wants to do anytime he wants to do it. Its as if God needs their help in sneaking the doctrine into the body of Christ. The bottom line is if you have to deceive people into believing something you are manipulating them instead of allowing the Holy Spirit to teach them. 17 If anyone wants to do His will, he shall know concerning the doctrine, whether it is from God or whether I speak on My own authority. The ironic thing is Calvinists say sinners are unable to believe the truth with their free will but get mad at them for not believing the truth, acting as if they have the free-will to believe it! Me: “You are trying to paint a picture that my God is just as unloving as yours is, that He is directly responsible for people who end up in hell. Lets take a quick look. In the Calvinist view God NEVER offers salvation to the unsaved because he hated them before they did anything good or bad, like Esau. Christ never died for them. There is NO eternal love for them by God. If someone goes to hell its because God stacked the deck against them. In the non-Calvinist view God OFFERS salvation to the unsaved because He loved EVERYONE before they did anything good or bad. Christ died for them ALL. There is eternal love for them by God. If someone goes to hell its because they rejected the LOVE of God through the gospel, when they could have accepted it. The Calvinist God NEVER loved them eternally, and the non-Calvinist God DOES. We believe in completely different gods with different personalities. They are not the same at all! Is my God DIRECTLY responsible for their eternal destiny in the SAME WAY yours is? Clearly not, since He gives everyone the full opportunity to be with Him in heaven, demonstrating His eternal love for them, when your god doesn’t do a thing for them in this regard. I find it interesting you would try to make our beliefs the same. Deep down you KNOW the god of Calvinism is not very nice so you try to bring mine down to your level. I’m certain the true God is angry at this comparison. Me: “Its a very strange thing for you to say God hates the unelect, he never died for them on the cross, he lets them be miserable and captive in their sins and then say God ‘loves’ them because he gives them the resources to live for a time on the earth to carry out this miserable existence in sin God is keeping them in. You are trying to make your god seem better than he really is. Did you notice he contradicted himself? He is suggesting God preordained her unbelief because of…her unbelief! The DESIRE for God to be willing, is itself, faith in God. Faith is trust. You had faith and trust in God before you believed the gospel, something a total depraved sinner is incapable of doing according to Calvinism. It seems to me the idea of total depravity, as Calvinists define it, is in error. Calvinist Victor Tavitian on Facebook: “There is no group of people that I love more in this world than Christians. They are wretched people saved from their sin by a loving God. I am part of this elite group, not due to my performance, style, intellect, or moral inclination, but because of the choice of God which depended only on His will. Me: He said he is part of this “elite” group which is a word that means superiority over others, then claims there is nothing special about him that God chose him. Calvinist on Facebook: “Calvinism is from the bible. Why haven’t you put the sources for the contradictions on your page? Are you trying to hide something? Me: Instead of addressing certain issues I brought up he decided to avoid them and use the strategy of attacking me personally. After that problem was solved he pointed me to the Westminster Confession, which espouses Calvinist doctrines. This doesn’t address the issues, it only makes them more apparent. Facebook Post from Calvinist: “Alabama cop being mocked on social media after being pistol whipped with his own gun. This world is getting sicker by the second… Jesus is the answer!! Everyone fighting for so many different rights, but it’s all about Christ giving you a new heart. First he says Calvinism is the gospel and than says it isn’t! He doesn’t want to “say” Calvinism is the gospel but he really “thinks” it is. He spends his time trying to convince me these doctrines are true and never gives me the gospel that Paul defined in 1 Corinthians 15. NEVER ONCE. So he is trying to “save me” but his methods are not what the Apostles did or what Jesus taught. THIS is how the Apostles witnessed to people?!? Calvinist: People are totally depraved. The only way a person can call Jesus “Lord” is if that person has the Holy Spirit in them first (1 Corinthians 12:13). Wherefore I give you to understand, that no man speaking by the Spirit of God calleth Jesus accursed: and that no man can say that Jesus is the Lord, but by the Holy Ghost. Me: 1 Corinthians 12:13 can’t be saying the only reason you are calling Jesus “Lord” is because you have the Holy Spirit in you because there are verses that contradict this idea. In Matthew 7 unbelievers call Jesus “Lord, Lord” and Jesus says I never knew them. In Philippians 2 we see EVERYONE calling Jesus “Lord” even those in hell (under the Earth). 10 That at the name of Jesus every knee should bow, of things in heaven, and things in earth, and things under the earth; 11 And that every tongue should confess that Jesus Christ is Lord, to the glory of God the Father. The Apostle Paul calls Jesus “Lord” but doesn’t have the Holy Spirit in him until later. 1 Corinthians 12:13 is teaching the Holy Spirit gives humanity the knowledge that Jesus is Lord, and thats all this verse is teaching. Whether someone believes that is another matter. Just letting you know that Brendan Paul Burnett, mentioned in #116, is actually an Arminian, and has been for some time. Thank you…I will investigate further and correct the error. Hi there, love these short yet show the contradictions perfectly . I have a youtube channel and would love to put some of these to animation on short video post… would you by any chance give me the go ahead ? You have my permission to include the contradictions in your video. Once you finish the video please give me the link so I can see it. I’m glad you were able to read it and I hope it helped. Wow quite a list!! Some are quite repetitive. Thank you for posting. Thankyou for this- I have had some very disconcerting run-ins with calvinists. One told me basically I am headed for hell- he said it quite ‘nicely’ – and not ‘not to worry about it’. The same one talked of God HATING people.. its so utterly sick I was just reeling. My feeling is that if God has already decided where everyone is headed, then there is no point and no need to share the gospel. Also,why do they tell people who are already believers that they are NOT saved ?? What purpose can that serve ? cont…. calvinists fail to see that God has told us all to ”choose this day whom we will follow”- right from the very start of the \Old testament. Jesus tells us to repent ( which is something we choose to do if we choose to obey \Him) and His teaching style of parables which linger on in our memories and do not immediately make sense but can suddenly ”come to life” and reveal their meaning to us years later, is deliberately done because Jesus wanted us to choose to hear and follow Him-and so He made it possible for this to happen by inserting the meaning in the parables to be discovered later- so people could choose to follow Him. That is all abit elaborate if |God is just gonna get the ones He wants when He wants….there is sooooo much in the whole bible about US CHOOSING how to live, act, choose. The sheep/goats thing is all based on how WE behave. We so clearly have free will its obvious. Yes, I decided to list all of them because there are so many different ways Calvinists contradict themselves even with the same topic! The argument Calvinists use as to why we should share the gospel is because its through the gospel the elect are saved. The gospel is a “means to an end” they say. Calvinists only care about the elect who don’t believe yet so preaching the gospel to everyone will bring them out. Of course, Calvinists only care about the elect when they preach. When you say they tell believers they are NOT saved are they saying you have to be a Calvinist to be saved? I’ve had many tell me that. After spending fourteen years in Calvinism, Brenda Nickel realized that people needed a quick and organized way to understand the slick deception of Calvinism. She has compiled a clear and brief treatment of Calvinism's major tenets to make it easy for anyone to grasp.